Bredel hose pumps from Watson-Marlow Fluid Technology Group (WMFTG) have replaced piston pumps on a series of prestigious €1.8 million concrete grouting projects performed in seas around the Chinese coastline. Bredel hose pumps from Watson-Marlow Fluid Technology Group (WMFTG) have replaced piston pumps on a series of prestigious €1.8 million concrete grouting projects performed in seas around the Chinese coastline. A total of 90 Bredel pumps have been ordered for drawing the abrasive cement/sand/water slurry from the mixing tanks into the holds of the seafaring vessels, and for metering the grouting accordingly. 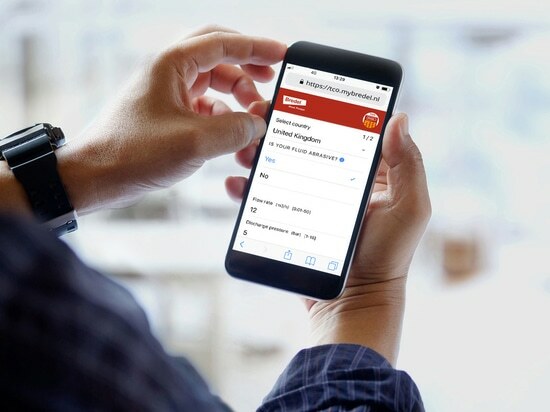 The pumps have overcome leakage and wear issues associated with the previous piston pumps, and subsequently reduced downtime, maintenance and spares costs. In China, specially equipped engineering boats (about the size of small tugs) are fitted with concrete-carrying silos or holds. The boats ferry between tidal, pile driving and quayside construction sites to deliver concrete grouting in line with project requirements. 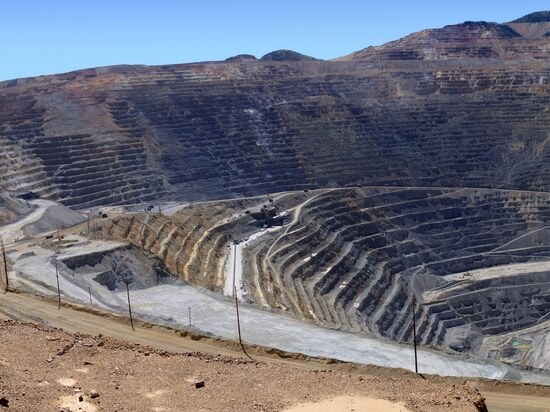 Earlier this year, WMFTG China secured five orders comprising a total of 90 Bredel heavy duty hose pumps required for a series of new grouting projects. Including 45 Bredel 65 and 45 Bredel 80 models, the pumps will be installed across six engineering boats (15 pumps aboard each vessel). Bredel hose pumps have been selected in place of piston pumps, which on previous grouting projects created issues such as fluid leakage, component wear and unplanned maintenance. 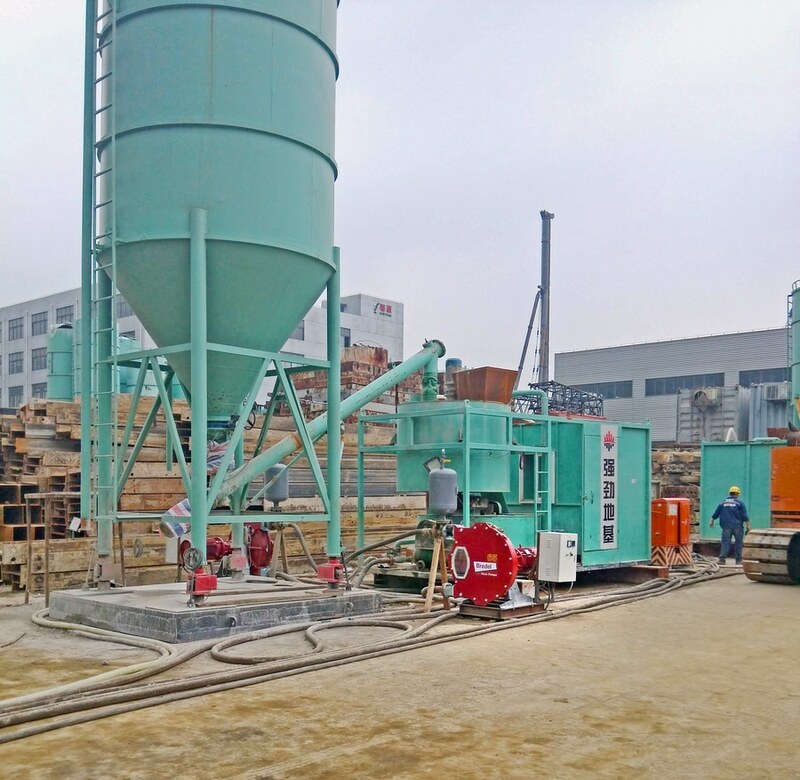 In order to comply with local environmental regulations and meet higher quality requirements, WMFTG got the opportunity to supply a Bredel pump for trial. 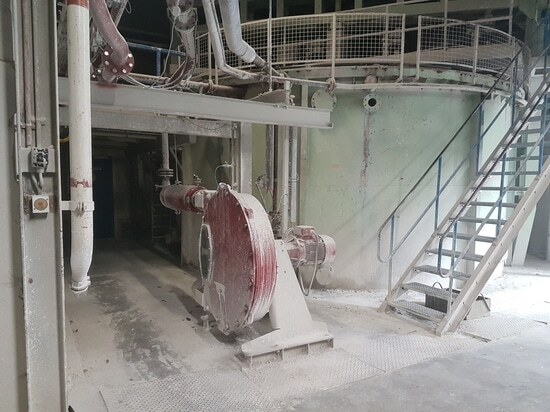 The success of the trial proved that Bredel technology could overcome the leakage and wear problems, thus reducing costs through greater uptime and reduced maintenance and spare parts. In addition, a safer working environment would be created. The reason that the previous piston pumps struggled was the abrasive nature of the cement, sand (8%) and water mix (0.7 water-to-cement ratio). Discharged into the pile driver at pressures of over 10 bar, conventional pumps are subjected to continual wear problems. Conversely, in Bredel pumps, nothing but the hose touches the fluid. This means that the only wear part is the hose, which can be quickly and easily replaced if required. As a result, Bredel is the pump of choice for all slurries, as well as viscous, shear-sensitive or aggressive fluids. 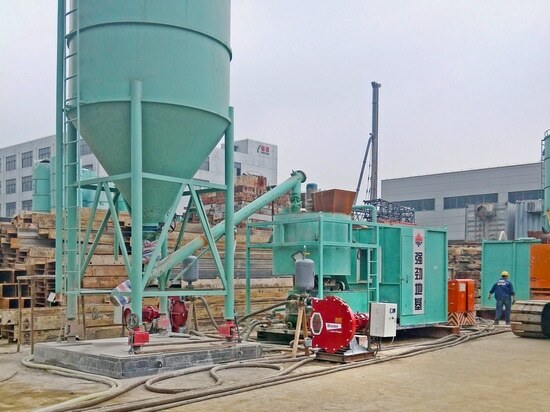 The larger Bredel 80 models used on the grouting projects in China draw the slurry from the mixing tanks into the hold at 330 l/min. These pumps run for approximately 2-hour periods at 29 rpm. 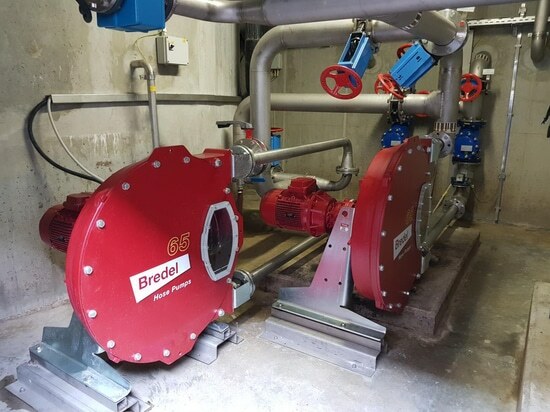 The smaller Bredel 65 pumps, which meter the grouting, run for the same amount of time (at 30 rpm), at a flow rate of 200 l/min. The running time of the pumps is controlled automatically via a PLC. WMFTG has already delivered 30 Bredel pumps for the first two engineering boats, and the customer is now gearing up ready to start site. Another 60 pumps are in production and will follow in two months.